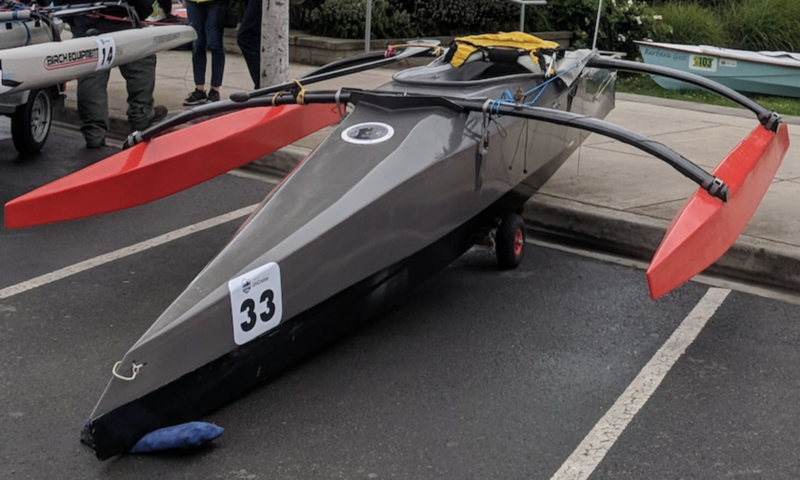 2000 hours until the start of the Race to Alaska! Back in November when I started building this boat I did a couple easy trainer rides to start towards getting back in shape, but before my workouts totaled 1 hr, my time gave way to boat building. In the last four months, aside from family and work, most of my time has been working in the shop. This has come at the detriment of all else. I keep reminding myself to start workouts, but then I look at my calendar, my long list of jobs, and I forget to exercise. So today was workout #1. I’m calling myself out here, because I can’t afford to slack off. From here on out I’m waking up early for a short but intense workout. My baseline is commuting to work, which is about 7.5 miles each way, three days a week. So a whopping 45 miles a week :(. Today I warmed up for 5 minutes and then held over 300 watts for 20 minutes. I’m guessing I averaged 320 watts. I’ve never trained with power, so I don’t even know if that is any good. I’m writing this while I cool down. Now its time to make Ciana breakfast, take her to school, and get out the the shop.